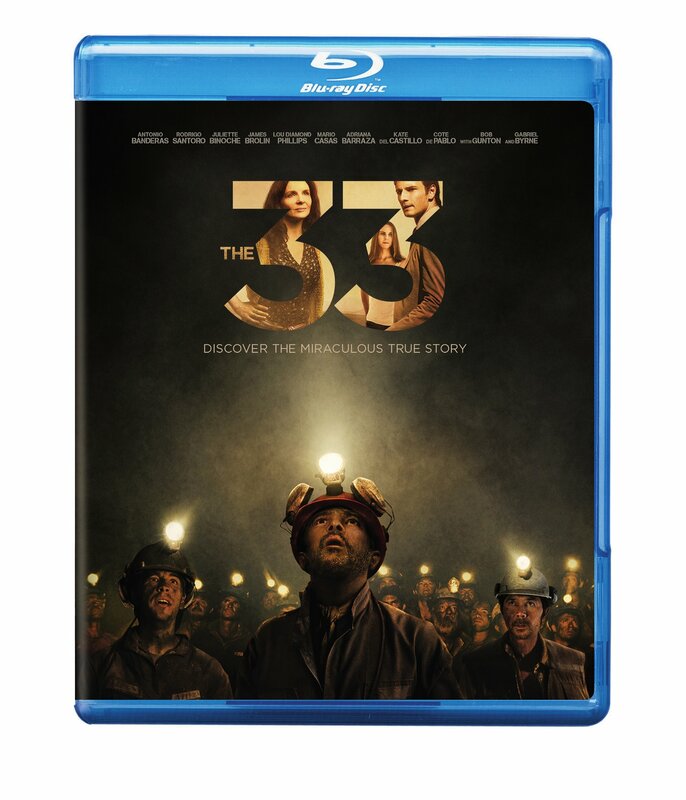 Own “The 33” on Blu-ray or DVD on February 16 or Own It Early on Digital HD on February 2! Burbank, CA, January 6, 2016 – Discover the unforgettable true story that’s never been told when “The 33” arrives onto Blu-ray, DVD and Digital HD. Directed by Patricia Riggen from a screenplay by Mikko Alanne, Oscar® nominee Craig Borten (“Dallas Buyers Club”) and Michael Thomas, “The 33” is based on a true story of 33 miners held 200 stories underground who never lost hope.